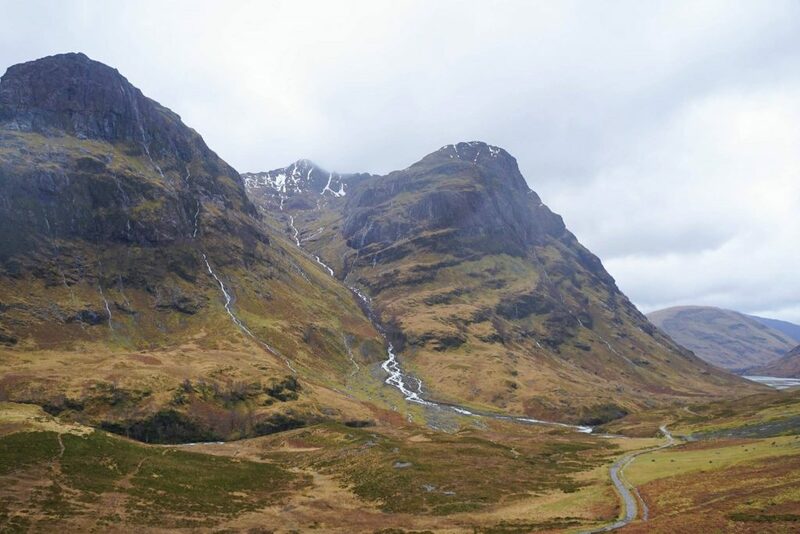 Want to know about the James Bond Skyfall Location in Scotland? Here is an exact step-by-step guide, GPS location and plenty of information on James Bond Skyfall in Scotland. 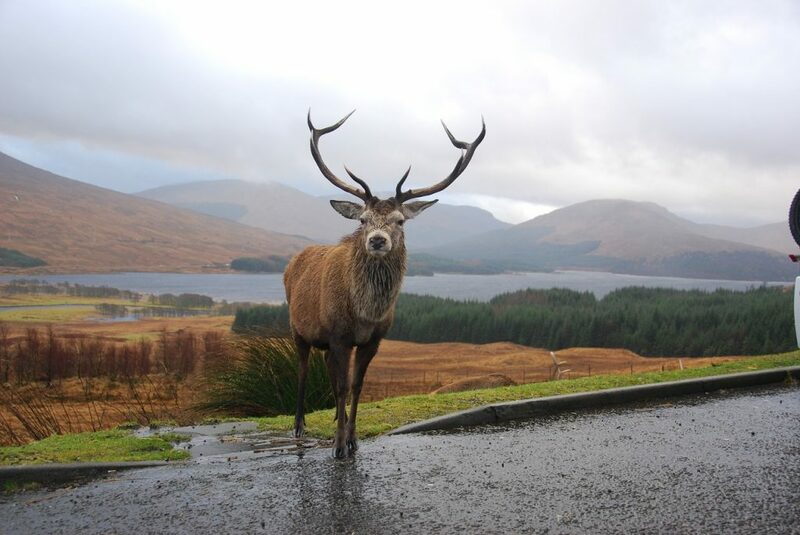 If your planning on visiting Glen Etive Scotland you don’t want to miss this essential guide! Are you a massive 007 fan and always in awe of the fantastic locations that Bond is always jetting off to? In Skyfall James Bond alone had an epic moto-cycle chase through crowded Istanbul before attempted to escape reality on a beach in Fethiye (still Turkey). 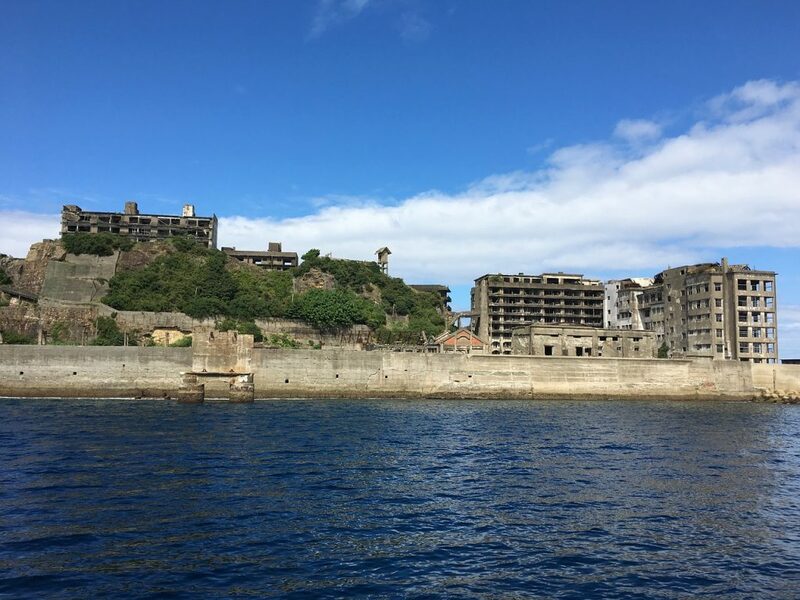 Important information leads Bond to a fight in a Shanghai skyscraper before boarding a yacht to the abandoned Hashima Island in Japan. Get caught up by watching James Bond Skyfall online now! 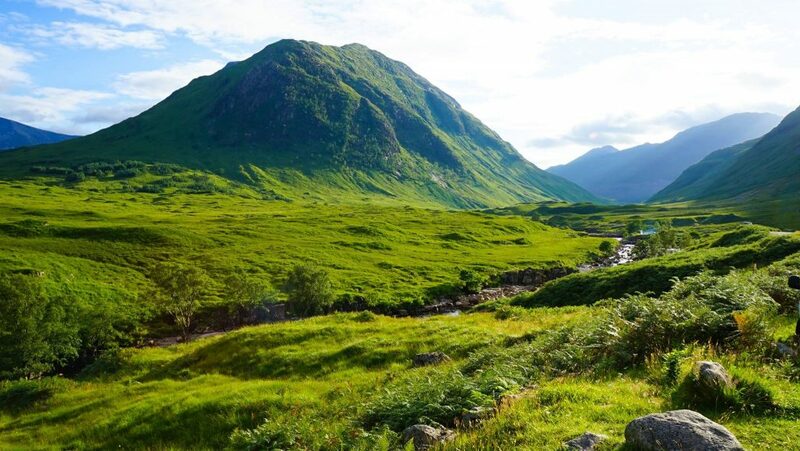 Back to London for the third act, but even after all this the best Skyfall filming locations were saved for Glencoe / Glen Etive Scotland which was chosen as the iconic location of Skyfall House in Scotland, Bond’s childhood home. 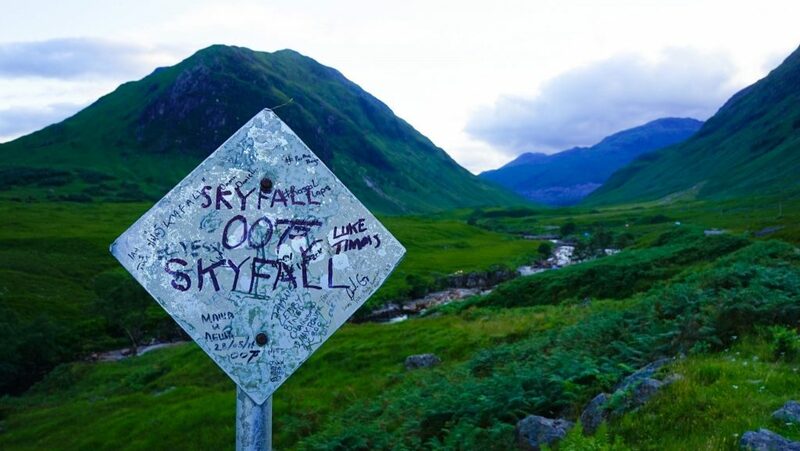 I don’t think any of us will soon forget the isolated wilderness of Skyfall’s Glencoe played host to plenty of destructive fight scenes complete with a helicopter and the death of Dame Judi Dench’s M.
Don’t remember what happened? You need to watch James Bong Skyfall now before going! Trust me, it will make your whole experience that much better! 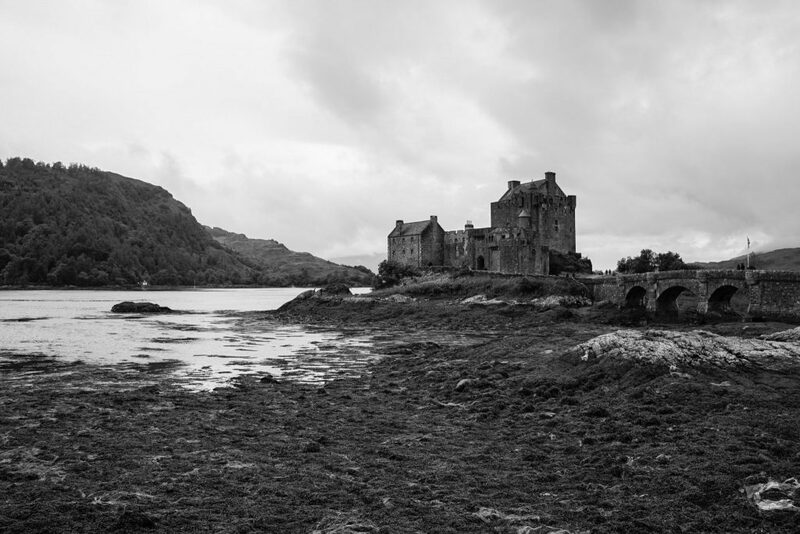 Remember this Skyfall Scotland scene… On the way to Bond’s childhood home! A crucial part of the whole James Bond Skyfall plot I would say! Understandably if you’re on a trip to the magical Highlands, you won’t want to miss a trip to this James Bond Skyfall Location in Scotland!! A magical place shrouded in mist and seemingly as old as time itself, this 007 filming location is even better in real life and is almost guaranteed to be the highlight of your trip to Scotland – unless of course, you get the opportunity to experience wild Hogmanay New Years in Edinburgh. 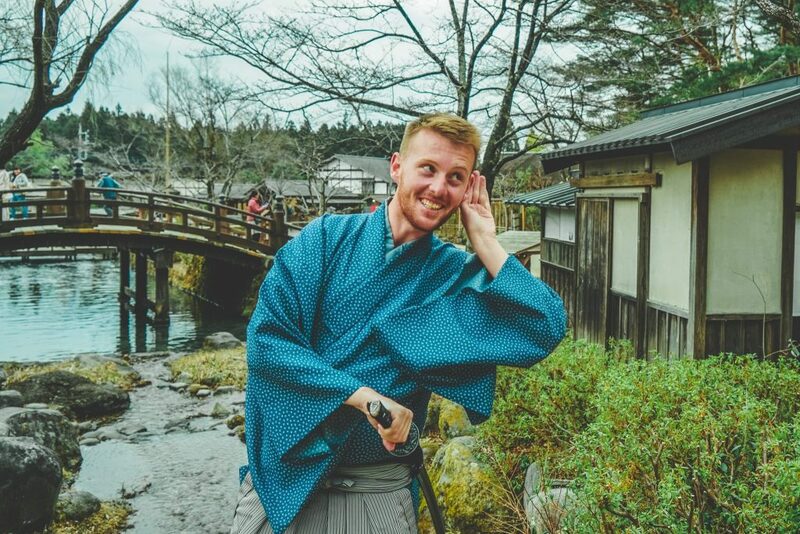 Perfect for visiting all year round, this hidden gem will leave you mesmerized. 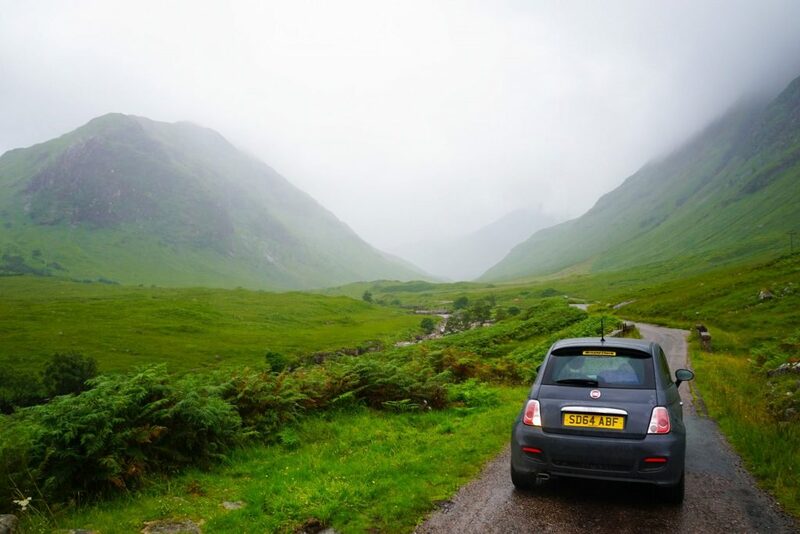 If you are heading here on a road trip (you don’t really have many options), why not compare car rental prices in Scotland from either Glasgow or Edinburgh! I’ve included some other famous James Bond filming locations in Scotland from other films at the end in case you want to make a whole trip out of it! The Glen Etive Skyfall filming location is incredibly scenic, just off a major tourist route in Glencoe and yet barely anyone goes to the Skyfall House location in Scotland as its a dead-end road and not at all sign-posted! Which is such a shame as the Skyfall House getting blown up in the Scottish moors scene was literally my whole reason for wanting to travel to Scotland in the first place! If you can’t remember it from the Skyfall plot …it’s when James Bond (Daniel Craig) and M are compromised and take shelter in the depths of wild Scotland from the crazed ex-MI6 agent/arch Bond villain Silva. Here you can imagine a young Bond growing up while mystery and pain lingering in the air – sadly, however, the Skyfall house is no longer here but don’t worry! 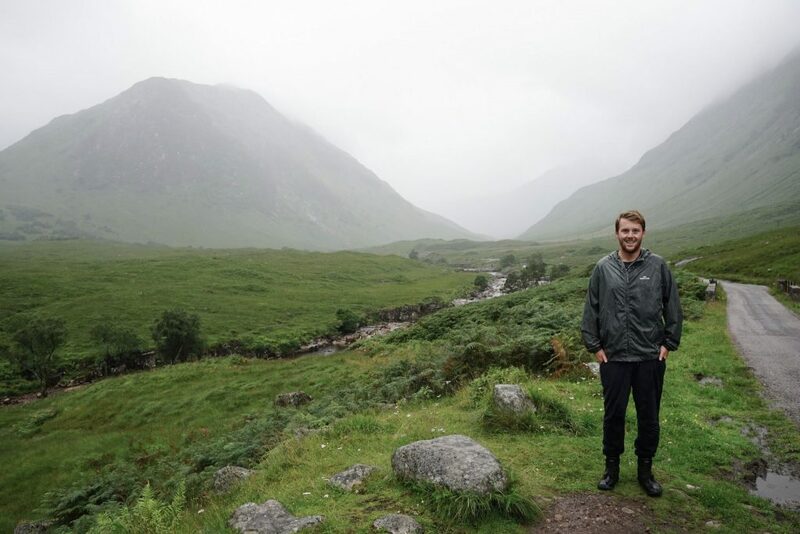 The natural scenery at Glen Etive Scotland is just as epic in real life so you will not be disappointed! Where is Skyfall in Scotland? How Do I Find The James Bond Skyfall Location in Scotland? 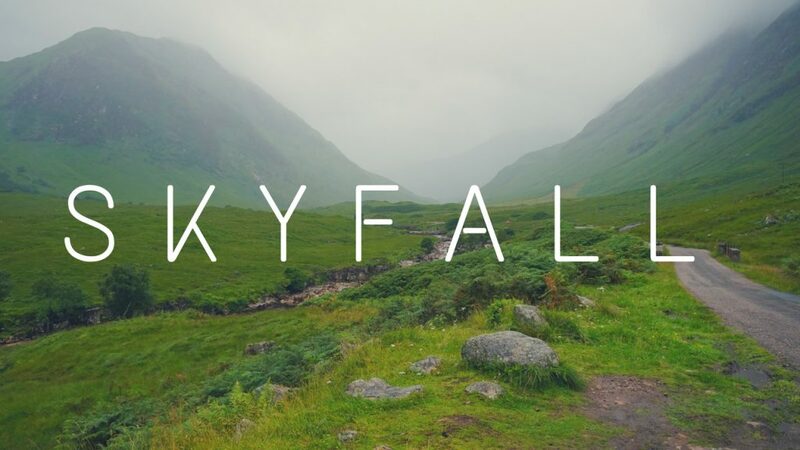 Ok so for those of you asking ‘Where is Skyfall in Scotland’ – It does exist, but of course the Skyfall Scotland location is not called that. 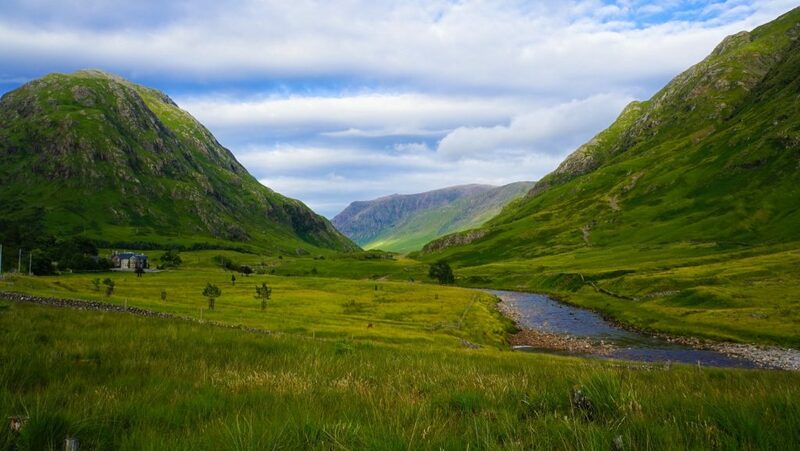 The valley where the Skyfall House is supposed to be is actually known as Glen Etive, the turnoff for which is just a few kilometers after the Glencoe Mountain Resort heading towards Fort Williams. You will cross a bridge, and it’s just on your left. If you have GPS available (just copy and paste them into google maps), the exact coordinates are 56°37′10.31″N 04°55′51.23″W. However, that surreal vista is almost unmissable, and there is only one bridge along the entire road. There is also a modified road sign to mark the spot which makes a nice photo spot. 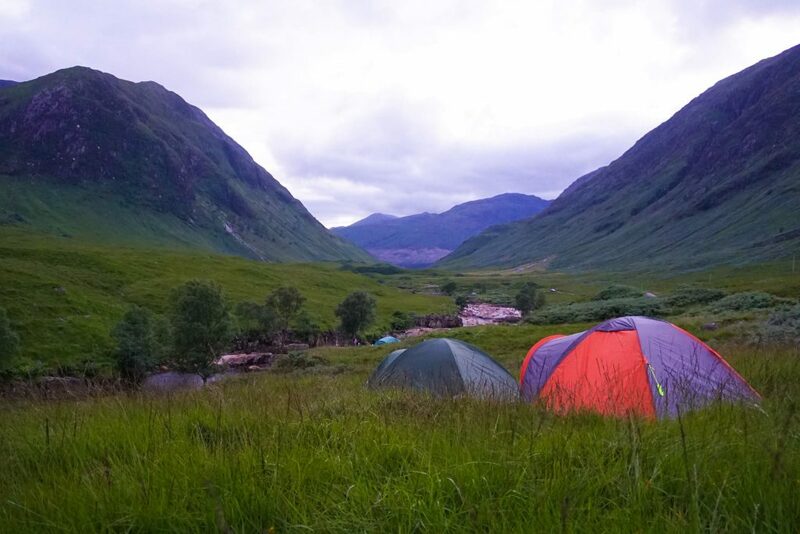 It’s quite a fair distance away from any towns so if your game you could try wild camping here in Skyfall or there are some reasonable accommodation prices in Glencoe near the Glen Etive Skyfall location. 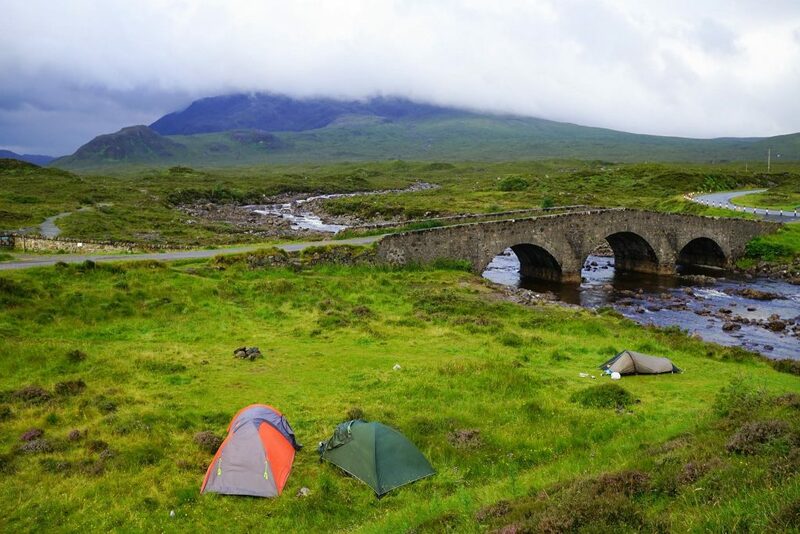 If you do go camping (like we did) make sure you get a tent specifically suited to Scotland’s conditions. Trust me, you do not want a single mingle getting as it will ruin an otherwise amazing night! We visited in summer and survived freedom camping right next to where Bond & M park the Aston Martin in the iconic James Bond Skyfall scene which was a fantastic experience. However, you should be aware of two things: 1) in summer it’s completely green and doesn’t quite look like the film which was shot in autumn/winter and 2) there are midges everywhere. It’s horrible and incredible at the same time. If you get the chance, it is probably better to visit the James Bond Skyfall lodge in winter as the road is accessible by car year-round – though it will be bitterly cold, likely raining and have shorter daylight hours! It’s no Aston Martin, but WOW hiring a car and driving the Skyfall Road sure was fun! Don’t forget to drive the entire Skyfall road as the vistas change at everything before you eventually reach a dead end at a picturesque lake. Be slow and steady on the gravel roads, and you will soon be wondering how the hell 007 got an Aston Martin down here! Sadly the Skyfall house didn’t actually exist and was created as a film set in Surrey, England on Department of Defence land, but if you continue along the road you might notice that one house does have a striking resemblance to the film!! It’s private property however so be sure to keep out. Down to the left…It’s more than a passing resemblance you have to admit! This trip is only possible with a car...Take a look now at the best rental car prices across Scotland so you can compare and save! To find the road in look for the signs to Glen Etive, it’s just after the Glencoe Ski area heading into Glencoe. Go over the next bridge and its only after the sign on your left! 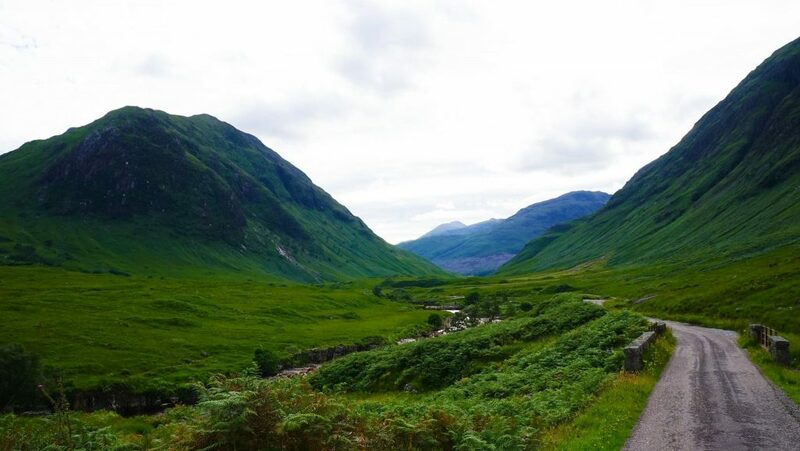 The road to the Skyfall Scotland location should look something like in the middle photo below. So now you all know about the James Bond Skyfall Location in Scotland! 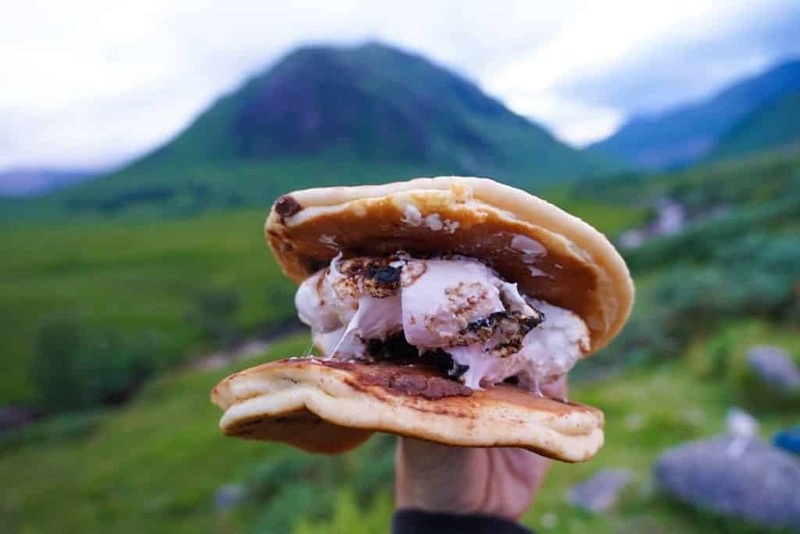 Make sure you don’t miss it on your next trip to the incredible highlands! And don’t forget while your there to explore up to the end of the Skyfall road…It’s entirely worth it! Oh, and in case you were wondering the Glen Etive Skyfall location is only just the beginning of the wondering Scotland has to offer. Much like the Skyfall house, Scotland is a country of hidden history, mystery, and awe-inspiring beauty. Other James Bond Scotland Locations You Should Try Visit! Eilean Donan Castle – Probably one of the most iconic James Bond film locations in Scotland next to Skyfall, Eilean Donan Castle was used as the Scottish headquarters of MI6 in Pierce Brosnan’s The World is Not Enough (1999). 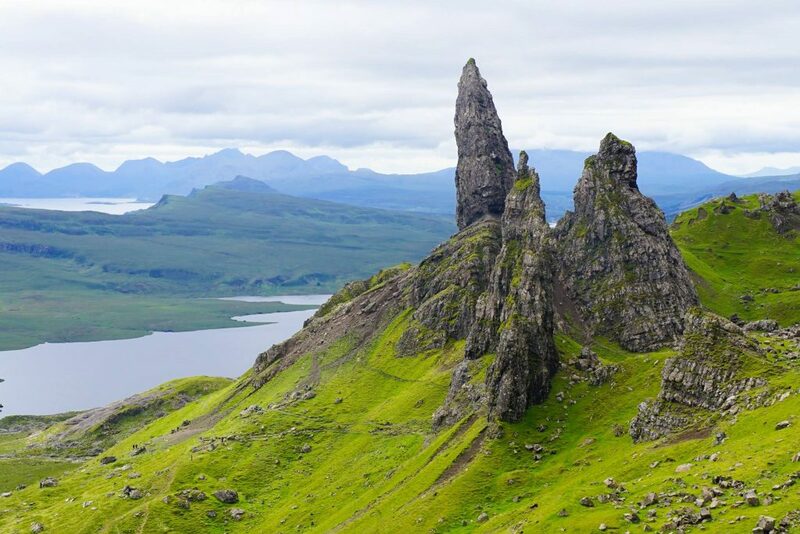 If you’re going this far, your really shouldn’t miss exploring the island of Skye – which sadly is not a James Bond film location…yet! 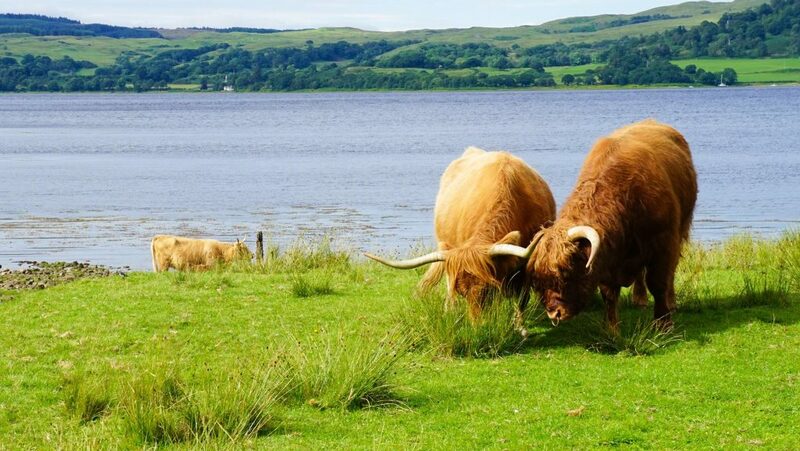 Craignish Loch – In 1963’s From Russia With Love Sean Connery and the gorgeous Russian agent Tatiana are shown escaping dastardly SPECTRE agents on a speedboat in Turkey – but thanks to filming difficulties the final boat chase was swapped from hot and sunny Turkey to …Scotland! How the director pulled this once off is anyone’s guess. 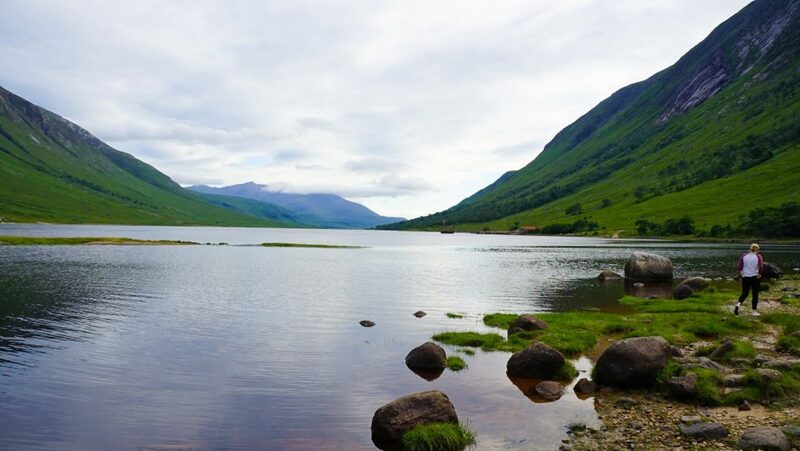 If you want to really get your adrenaline pumping while exploring the Scottish lochs, however, then these scenic kayaking excursions along the Great Glen Canoe Trail are the best way to do it. We like to imagine its exactly what 007 would do, if he ever got a day off! Gare Loch – An oldie but a goodie, you will probably recognize Gare Loch in Argyll as Her Majesty’s Naval Base Clyde from The Spy Who Loved Me back in 1977. It is here James Bond played by Roger Moore discovers that webbed-fingered Karl Stromberg is behind the loss of British Submarines as part of his personal mission to start over with a new civilization underwater in Atlantis. Duart Castle – Not a film location, but Duart Castle is a crucial James Bond Scotland location to visit as the seat of Clan Maclean, of which World War II hero, Fitzroy Hew MacLean was part of. Of course, any diehard fan will know that is an open secret Ian Fleming used Maclean as one of his main inspirations for the fictional James Bond. Duart Castle is worth a visit in its own right thanks to its medieval architecture and the surrounded landscapes rugged beauty, second only to the Isle of Muck. 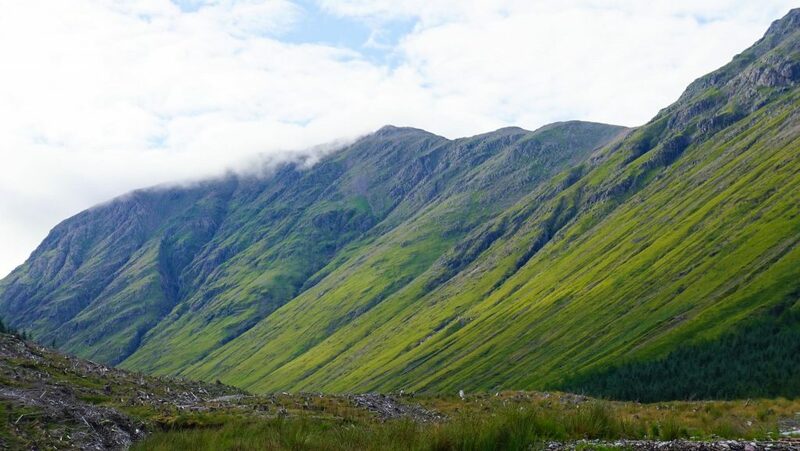 So there you have it – The James Bond Skyfall location in Glen Etive. Hopefully, you miss most of the temperamental Scottish weather on your weather (thought for movie authenticity maybe some light mist!) and enjoy the most of your Skyfall Scotland location! 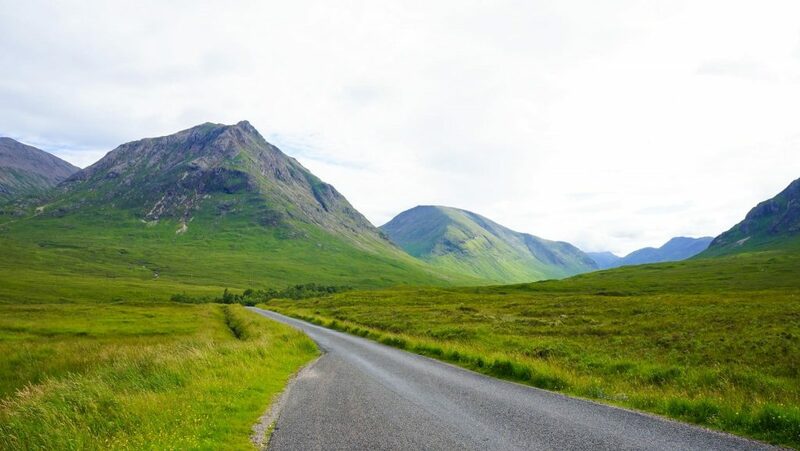 If you are going on an epic road-trip, don’t forget to check the best car rental prices in Scotland well in advance to save, and of course to book all your accommodation prior as Scotland tourism is booming currently and supply has not kept up with demand. Still don’t remember what happened? You need to watch James Bong Skyfall now before going! Trust me, it will make your whole experience in Scotland that much better!